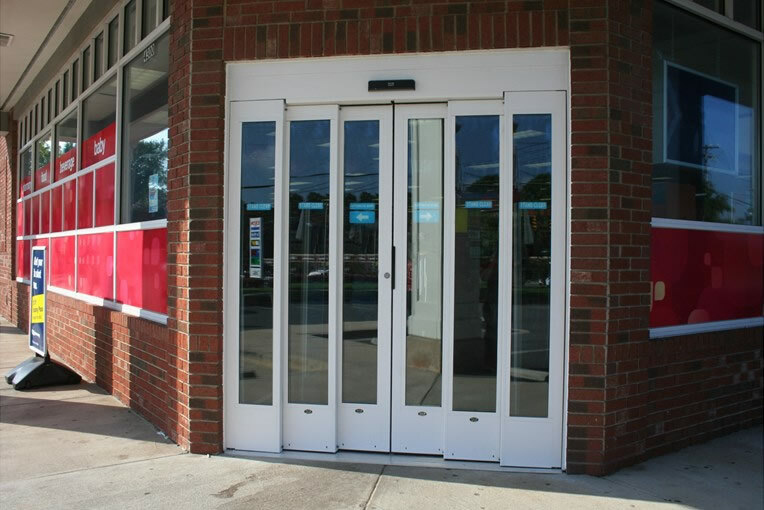 Telescoping doors offer a great benefit when space is limited. 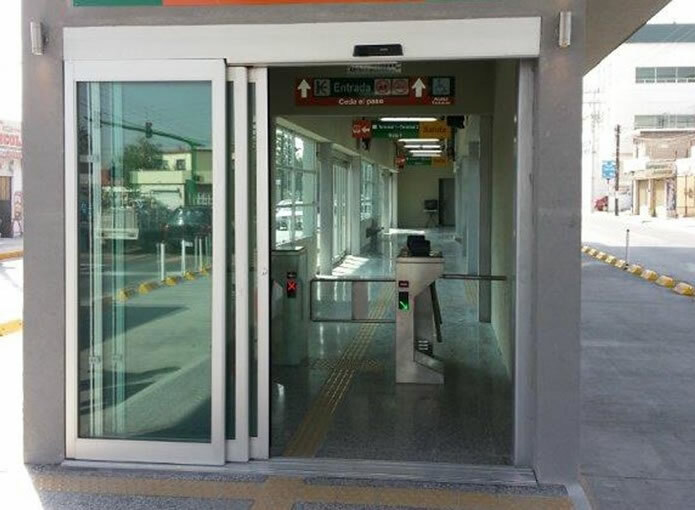 By incorporating an additional sliding door active leaf, a telescopic sliding door allows you to gain additional clear door opening ... particularly welcome in the tightest of spaces. 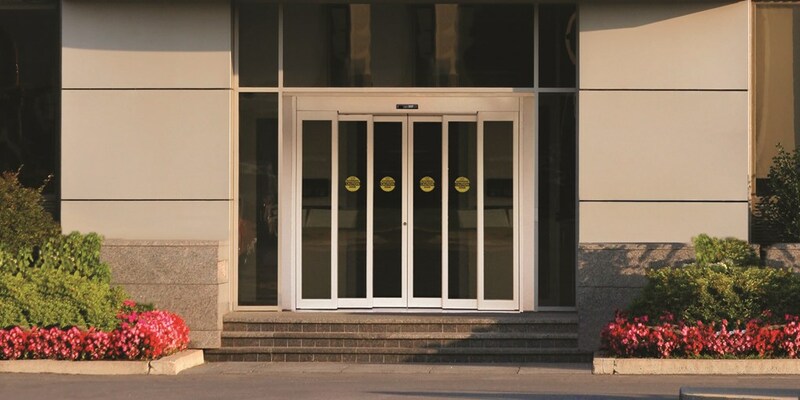 The Besam SL500 Telescopic is a telescoping door that sets a new standard in telescopic performance by providing superior support and stability. 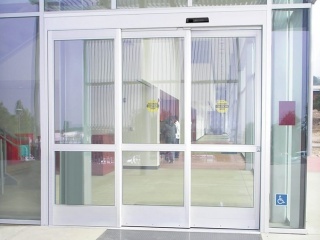 By utilizing an exclusive “door on door” design, the Besam SL500 telescoping door has an innovative design that improves upon inferior suspended track systems. 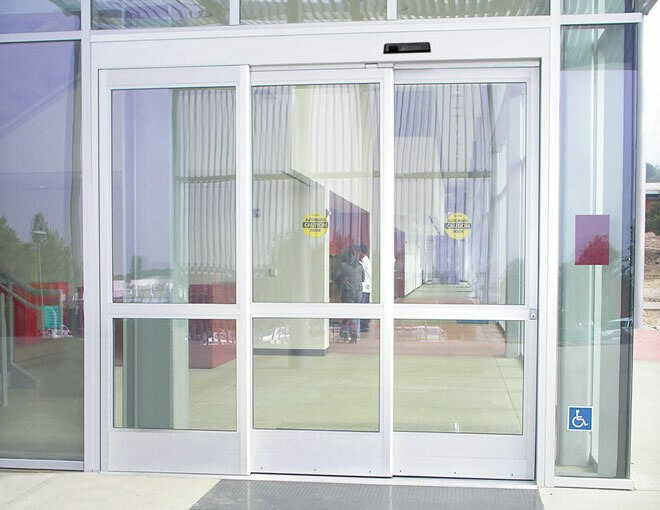 It places the door weight on the structural portion of the automatic door header via two structural boxes with integrated replaceable aluminum tracks. 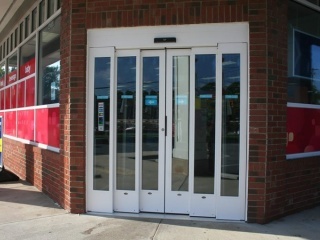 Until now, the average pair of 3’0” x 7’0” manual swing doors could be challenging to navigate due to the limited 32” (813mm) clear door opening, small foot print and cross traffic concerns. 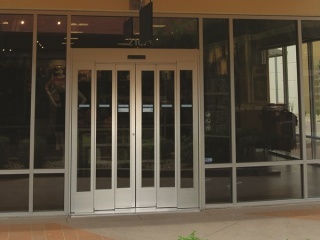 Enter the revolutionary Besam SL500 T67 telescoping door. 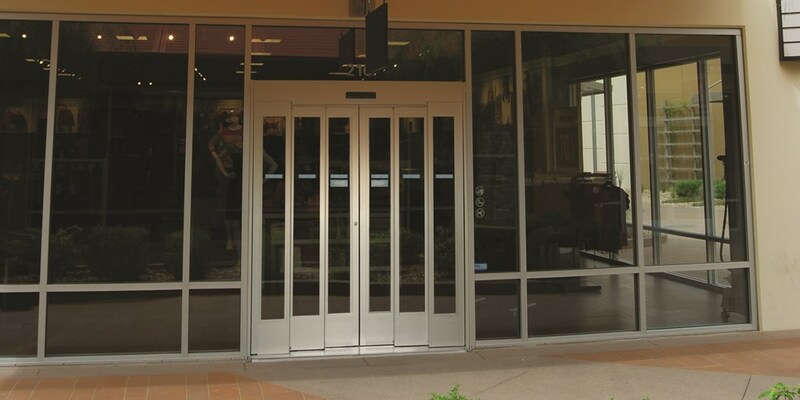 Specifically designed to fit the same door opening provided by a pair of 3’0” x 7’0” manual swing doors, only a minimum of 72” (1829mm) of overall frame width* is required to transform your entryway with no less than 46” of usable door opening. 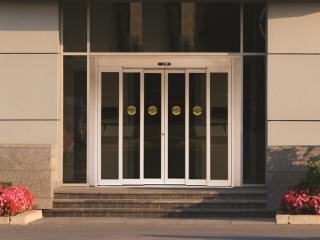 Whether new construction or retrofit applications, look to Besam SL500 T67 telescoping door to automate virtually any small entryway.